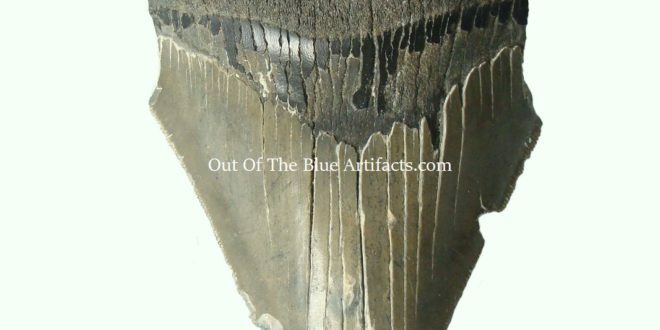 Megalodon Tooth. 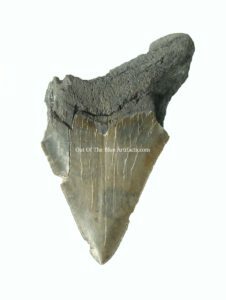 The Megalodon was a very large Shark like creature believed to be one of the largest and most powerful predators in vertebrate history. 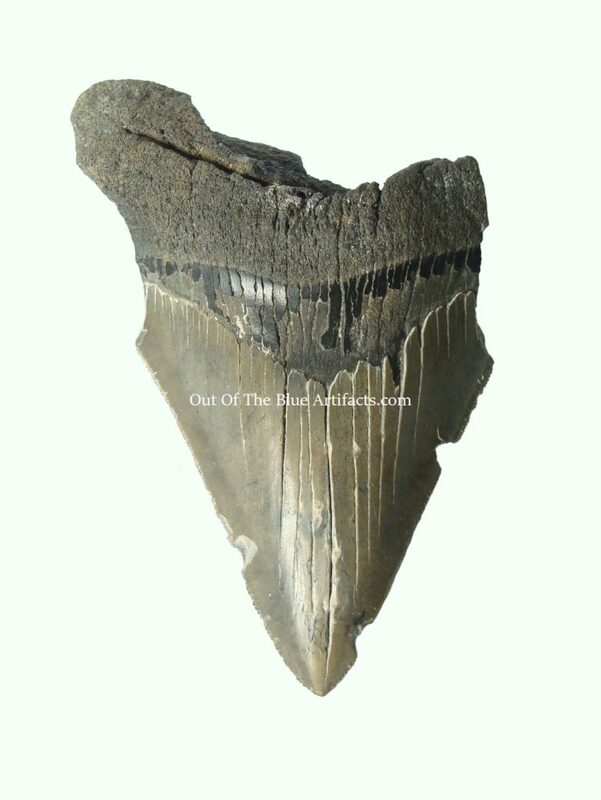 Fossil remains suggest that the Megalodon was about 20 metres (60 feet) in length. The image (left) shows the back of the tooth. Fossil size 4 1/2″ x 3″ inches. The Miocene Period – 16 million years ago.